Ken and Anita Corsini weren’t looking to become HGTV stars. They had already launched a successful house-flipping business in 2005 that saw them purchasing, renovating, and selling more than 100 houses a year. 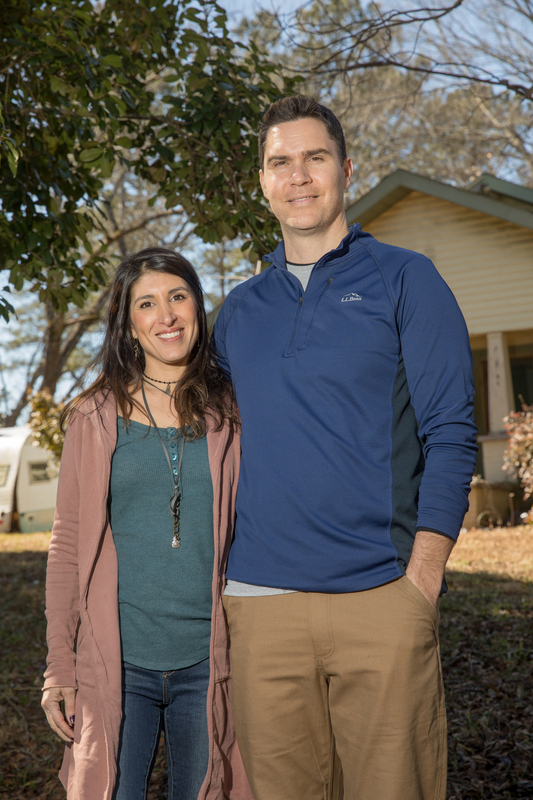 “You would never imagine that both of us would be on a network like HGTV given our backgrounds,” says Anita BS ’99, who majored in math at UGA. Ken BBA ’99 has a bachelor’s degree is in risk management. Their dedication to getting the job done and getting it done well paid off. 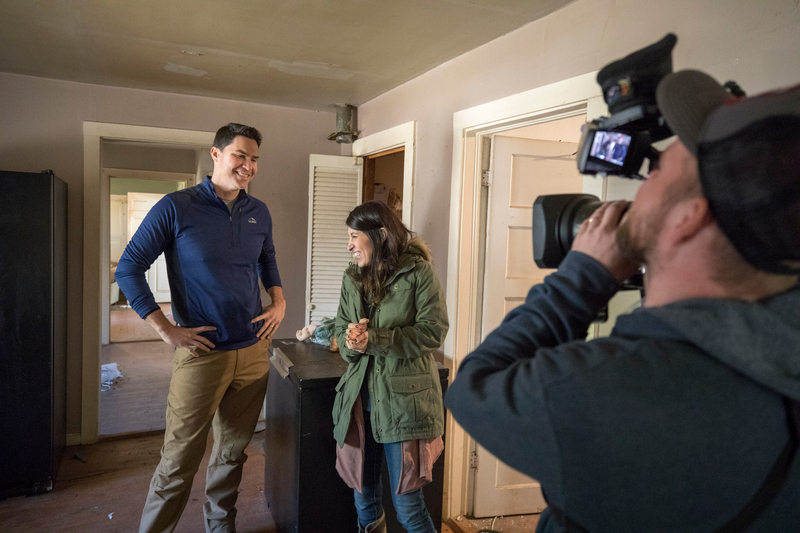 Premiering last July, their spinoff of the popular HGTV series Flip or Flop was renewed after only five episodes had aired. But the Corsinis’ path to Flip or Flop: Atlanta was definitely a circuitous one. The two met during their third year at UGA when Anita was leading a Bible study that included Ken’s roommate. She’d call their room, and Ken would chat her up before handing over the phone. When they started dating—downtown pizza joint Little Italy was their go-to spot—Ken and Anita quickly knew they’d found their partner, both in life and in future business endeavors. Anita was teaching high school math when Ken started his residential development company, Georgia Residential Partners, after five years in corporate insurance. A year later when the couple was expecting their first child, Anita originally planned to stay home with the baby, but Ken had other ideas. Realizing he was right, Anita quit teaching and got her license all in the same month, officially making theirs a family business. Anita serves as the designer while Ken is the contractor, and they tend to (mostly) stay in their lanes. “He still has very strong opinions,” Anita interjects, smiling. “Just about floor plans,” Ken replies. Over the years, they’ve rehabbed a lot of distressed homes, finding everything from animal skulls to antique Singer sewing tables and a North Face sleeping bag that Ken now calls his own. But few topped one of the houses from the show’s upcoming season. Spoiler alerts aside, that house is no longer a garbage dump now that the Corsinis have their hands on it.